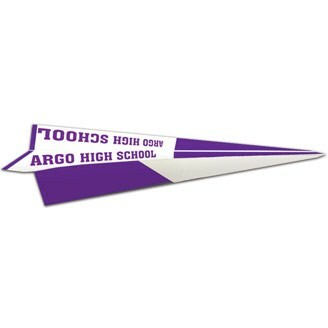 Traditional fold pre-creased pape airplane is ideal for fairs, festivals, parades, air shows, conventions, travel agencies, marketing programs, and much more. Made from sturdy pre-creased board stock. Shipped in sheet form with assembly instructions. Ideal for the travel or airplane enthusiast. A unique way to show your custom message or logo. Four Color Process : Minimum 1000 for Four Color Process.